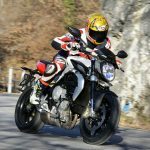 MV Agusta has made it no secret it is producing an 800cc motard-styled model using a larger version of 675cc three-cylinder engine from the F3 and the Brutale 675. 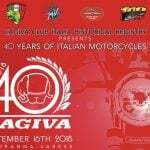 MV Agusta had been openly talking about the new model, expected to be called the Rivale, releasing a sketch of it earlier this week. Less discussed, but probably expected, was the same larger Triple engine would appear in another version of the Brutale. 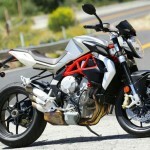 The 2013 MV Agusta Brutale 800 slots into the manufacturer’s lineup between the Brutale 675 and the newly announced four-cylinder Brutale 1090 models and stepping into the gap left by the discontinued 921. 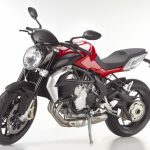 The new Brutale, and the upcoming Rivale as well, is powered by a 798cc three-cylinder engine with a counter-rotating crankshaft. 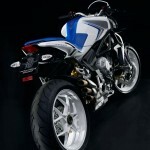 The extra capacity comes from increasing the Triple engine’s stroke to 54.3 mm from the 675cc engine’s 45.9mm throw. MV Agusta claims an output of 123.3 hp at 11,600 rpm and 59.7 ft-lb. 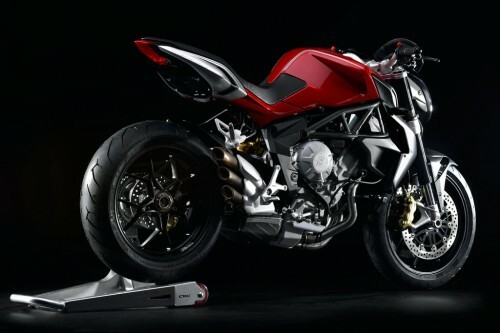 at 8600 rpm from the Brutale 800’s powerplant, though the Rivale will likely be tuned a little differently. 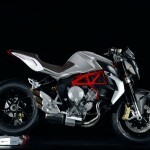 MV Agusta claims a top speed of 153.1 mph for the Brutale 800 compared to the Brutale 675’s claimed 139.8 mph top speed. Beyond the engine, the 800 version shares many similarities with the 675 including the Motor & Vehicle Integrated Control System (MVICS) electronics package with ride-by-wire throttle, multiple fueling maps and eight-level traction control. 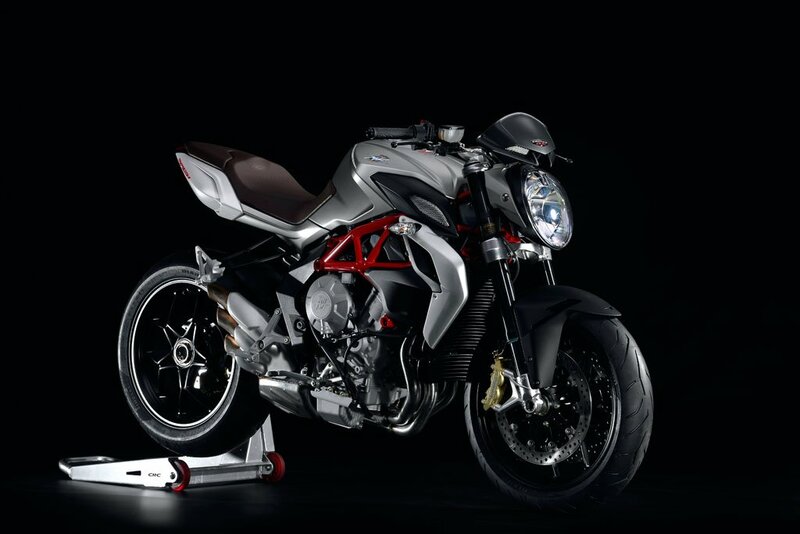 Also similar is the elegant stacked triple exhaust, the signature of MV Agusta’s three-cylinder line. Like the 675, the Brutale 800 uses a steel trellis frame with aluminum side plates. 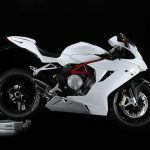 The braking system is also similar, with MV Agusta using twin 320mm discs with radial-mount four-piston Brembo calipers on the front wheel and a 220mm disc with two-piston Brembo caliper at the rear. 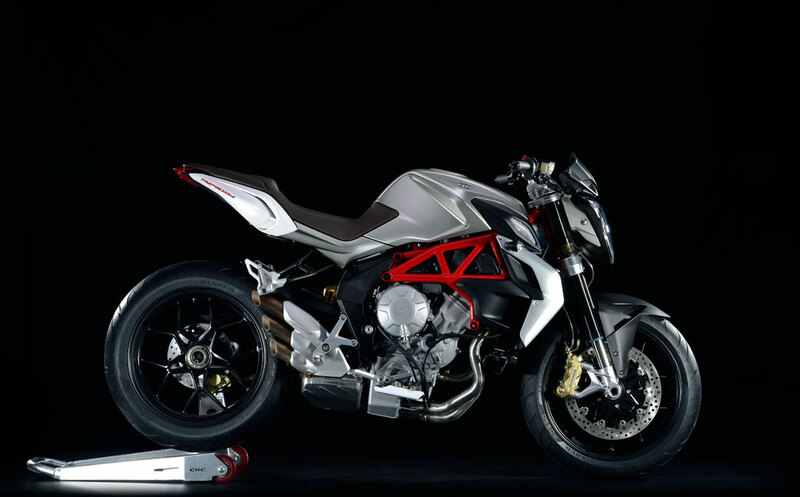 The fuel tank has the same 4.4 gallon capacity and MV Agusta claims the Brutale 800 shares the 675’s dry weight of 368 pounds. One area where the 800 separates itself from the 675 is in the fully-adjustable suspension, using a 43mm Marzocchi upside-down fork and Sachs monoshock. The 675 also uses Marzocchi and Sachs components, but only the monoshock’s spring preload is adjustable. 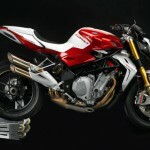 The 2013 MV Agusta Brutale 800 will be available in four color options: Ruby Metallic Red and Silver, White and Mamba Red, Matt Metallic Gray and Pearl White, and the special “Italia” edition White and Blue Pearl. 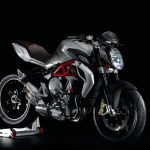 U.S. pricing and availability has yet to be announced, but in Europe, the MV Agusta Brutale 800 will be available for 9,990 euros (US$12,830) for the standard model and 10,390 euros (US$13,340) with MV Agusta’s Electronically Assisted Shift quickshift. The Italia version is only available with EAS and will be available for 10,990 euros (US$14,110). 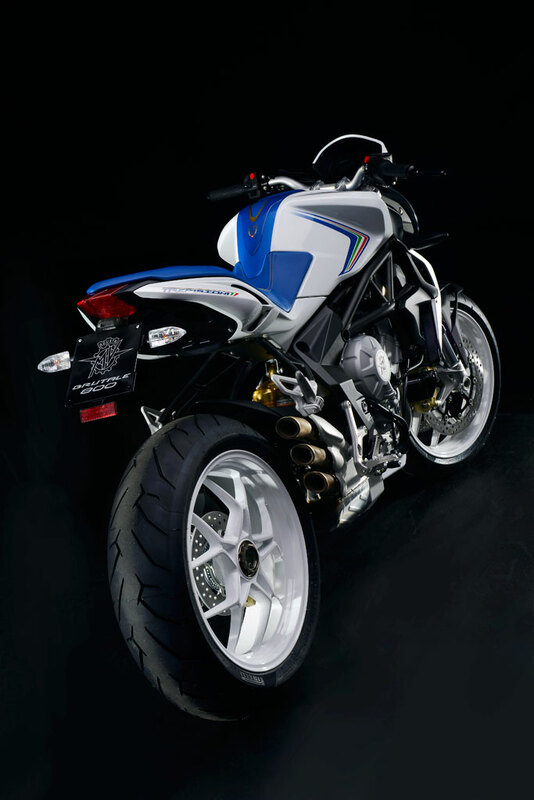 Look for the Brutale 800 to appear at EICMA in Milan alongside the Rivale.